Imagine the parts of a flower replicated and enlarged so that you can see the smallest details in its stem and petals. Picture a high school classroom outfitted with a life-size command room so that students can simulate sailing a ship. Technical Laboratory Systems (Tech-Labs) makes these dreams a reality by providing 3-D printers, simulators and other equipment using its Choice Partners contract– and the company is making quite the impression on our members. 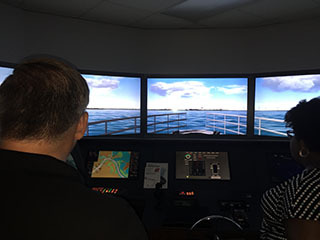 “Tech-Labs did a stellar job,” Drew Thurman, manager, Career and Technical Education, Houston ISD, said of Tech-Labs’ pivotal role in providing technology for Austin High School’s full bridge simulator, a room built to mimic a ship’s control center that gives maritime students an immersive, hands-on learning experience that’s about as close to actual navigating as you can get. “Typically you’d see these types of simulators at training facilities or colleges,” Thurman said, clearly proud of the high-tech installation. He added that Tech-Labs “did their homework and were extremely attentive” to HISD’s needs. On a smaller, but no less impressive, scale, Tech-Labs has also shown members that it is the captain of the 3-D printer world – specifically the education market. That’s because Tech-Labs is one of the few platinum distributors for Stratasys, a pioneer in 3D technology and one of the largest suppliers of 3D printers in the world. Tech-Labs is also a full-service provider of educational equipment and software, distributing robotics, e-learning and heavy equipment simulators. 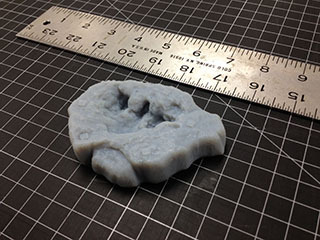 The 3D printer that Tech-Labs sold to San Antonio College using the Choice Partners contract utilizes a unique printing process that offers smooth finish surfaces -- technology ideal for architecture, animation and prototyping. “Without getting too technical, smooth finish is why people buy this particular product,” explained Jamey Deloney, regional manager, Tech-Labs, adding that the printer offers fine detail with a fast processing time. Fine detail is the name of the game when it comes to 3D printing. Tech-Labs, along with its team of factory-trained technicians, has solidified its reputation for quality customer service – a touchstone of many Choice Partners vendors. “If something is not right, they help you get it right,” Thurman said. For more information about the Technical Lab Systems products, go to https://www.choicepartners.org/vendors/technical-lab-systems-4 or call Lisa Stewart at 281-391-7010.